Bruce Lee is arguably the most recognized and influential martial artist in the world. Even people who aren’t interested in martial arts know who he is and respect him. He has become a Paul Bunyan of sorts, being the center of many myths and urban legends. He is also the source of inspiration for many MMA fighters, from Bas Rutten to Jon Jones. Whenever we admire someone, the next natural step is imitation, so for people that admire Lee, a natural question is: which style of martial art did he practice? Because of his movies, the natural assumption is kung fu, which is accurate given that his foundational art, for many years, was Wing Chun. However as Lee expanded this base, studying boxing, judo and fencing, he began to disbelieve in the very concept of styles or systems of fighting. 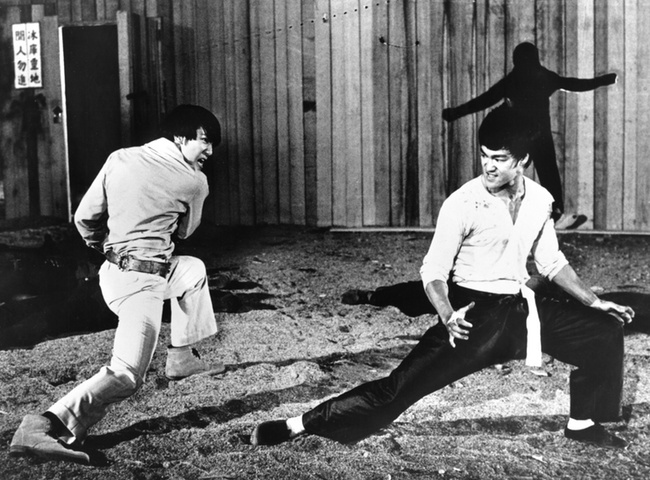 By the end of his life, Bruce Lee disbelieved completely in the concept of martial arts styles, fixed collections of techniques and strategies, which could be passed on from master to student. Lee’s best known axiom “Using no way, as way; using no limitation, as limitation”, reminds us that as long as we are not confined by a set pattern or doctrine then our options are limitless. Many martial arts contain the word way in their name: Tae Kwon Do, Judo, Aikido, Hapkido, Kendo, do being the Japanese and Korean transliterations for the Chinese dao（道）. For Lee, the most effective way to fight is the way that is most effective for you. Different temperaments, body types, athletic abilities all contributed to unique training needs. For Lee, no single method can help everyone but all fixed methods, if adhered to dogmatically, will certainly harm all. Lee’s philosophy is simple: do what works in a real fight. For Lee, it was the responsibility of the individual martial artist to find out, scientifically, for him or herself, what works for them. What works in a real fight will be different for Channing Tatum, Yao Ming, Sarah Silverman and Akebono. For Bruce Lee, no one can teach you how to fight. Instead, the best teachers show the student how to learn; the best teachers are facilitators in self-discovery. Though people have mixed and matched martial arts, since the dawn of time, no one explained the why or the how, with the eloquence of Bruce Lee. This is why, besides popularizing the martial arts through film, Lee’s greatest contribution to the martial artsis his philosophy, Jeet Kune Do, the Way of the Intercepting Fist. As Jack Slack has correctly pointed out, Bruce Lee predicted the development of modern fighting, far past the temporary haze of the early 90’s, when one art seemingly ruled the world. However, like all great philosophers, Bruce Lee was indebted to other great thinkers, and perhaps none more so than Jiddu Krishnamurti. 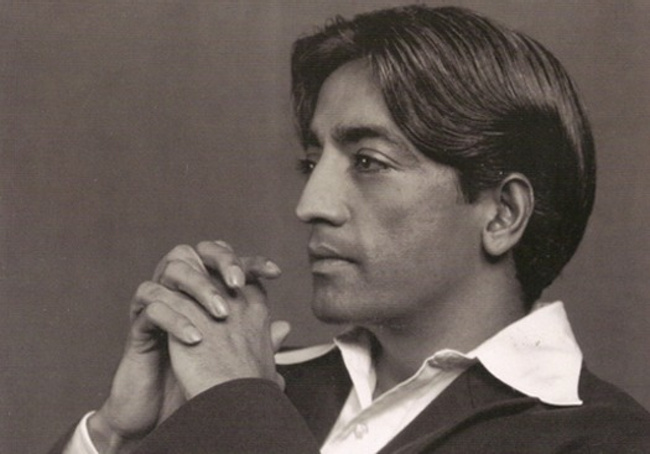 Jiddu Krishnamurti was born in 1895, to a Hindu family. As a boy, he was “discovered” by Theosophists who believed that he was destined to become the “World Teacher”, a chosen one, who would set the world straight by teaching the true way. The Order of the Star in the East was established by these esotericists, in hopes of nurturing and supporting their future messiah. At the age of 34, with 3,000 followers, a castle in Holland and 5,000 acres of land, Krishnamurti gave his famous “Dissolution Speech”, effectively shutting down the Order of the Star in the East. In this speech, Krishnamurti outlines what he views as the folly of doctrines, dogmas, philosophical systems and religions. It’s not hard to see Krishnamurti’s influence on Bruce Lee. Simply substitute the words truth for fighting and organization or religion for martial arts or styles, add the appropriate prepositions and articles, and you have a huge piece of Jeet Kune Do. According to Linda Lee Cadwell, the wife of Bruce Lee, Lee read tons of Krishnamurti, as he recuperated from a back injury he sustained during weight lifting. When I started this article, I said that the next natural step in admiration is imitation. However, this is a piece about Bruce Lee. If we truly admire Bruce Lee, it is almost certain that he would tell us to not imitate him. In fact, he’d tell us to be completely unique and original, to be ourselves, rather than follow trends, to think for ourselves and not merely parrot the party of lines of the various religious, political and educational parties that lead the sheeple. Lee would tell us to “kill the Buddha”. Bruce Lee and Krishnamurti were advocates of human freedom; what Krishnamurti advocated in terms of philosophy and religion, Bruce Lee advocated in the martial arts, to be absolutely, unconditionally free.